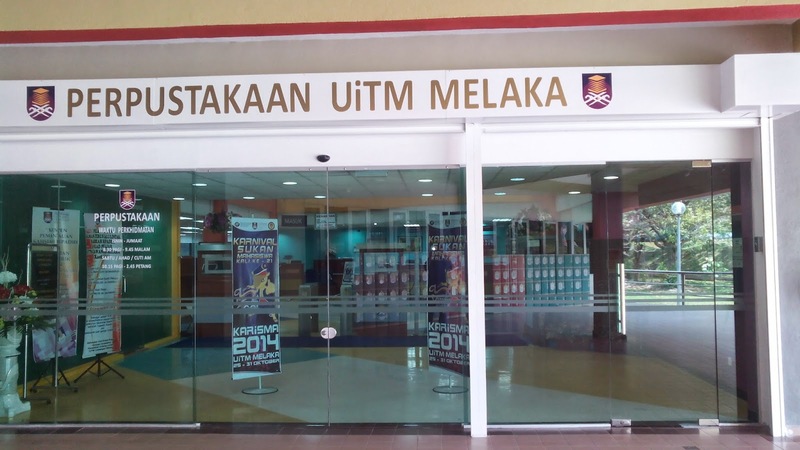 KTJ stands for Kolej Tuanku Ja'afar. Go to this link to find out what KTJ is all about. Why GiLoCatur is talking about KTJ in this entry? It should be obvious based on the entry title, shouldn't it? 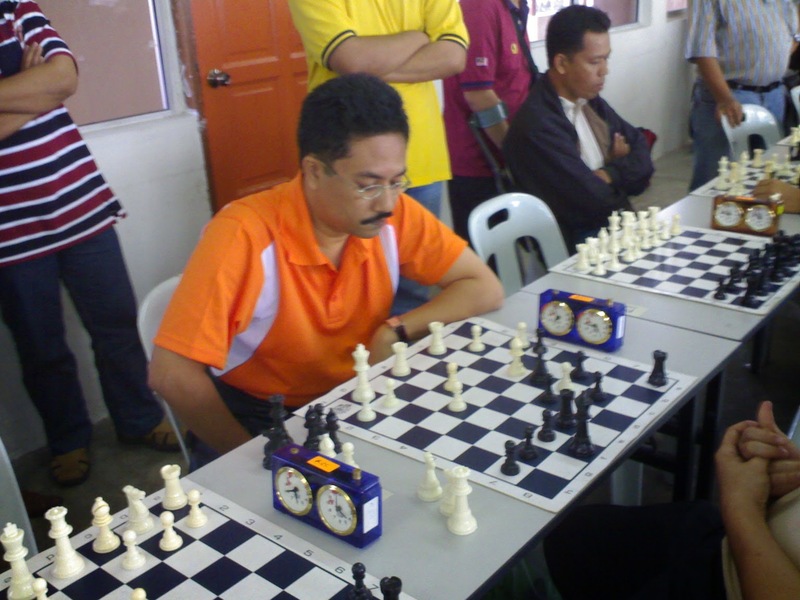 To all Malaysian chess parents who have children aged 19 years and below, you can bring your children to take part in the KTJ Chess Tournament that will be held this coming Sunday, 2nd November 2014. There are two categories or types of tournaments. Tournament A for Under 12 and Tournament B for Under 19. The money prizes are quite attractive. For further details and registration please email to Jian Wen (below picture) at jianwenwong@gmail.com or ktjchess@ktj.edu.my. 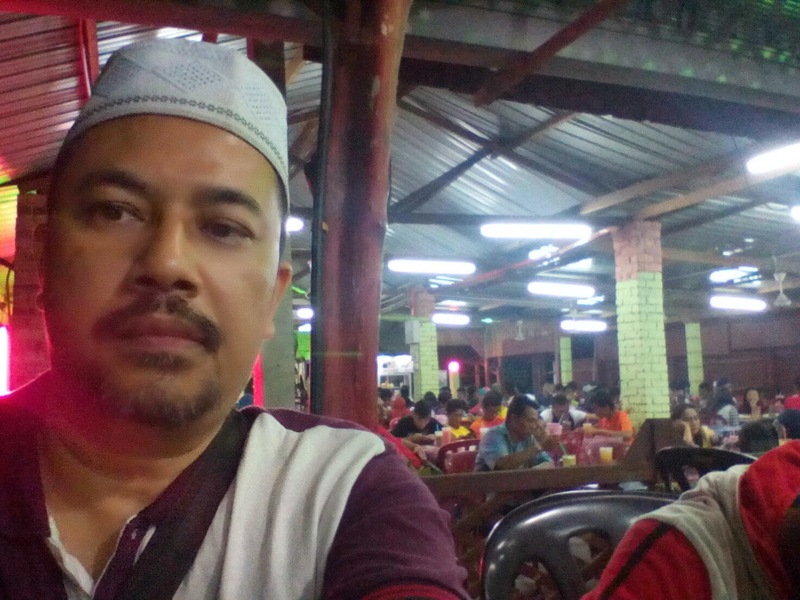 SUDAHKAH ANDA MENDAFTAR UNTUK KEJOHANAN CATUR TERBUKA UPSI atau UPSI OPEN? Jika belum, dafarlah sekarang. Tarikh tutup pendaftaran adalah pada hari ini, SELASA 28/10/2014. Pendaftaran selepas tarikh tutup ini akan dikenakan penalti sebanyak RM 5.00. Kejohanan ini akan berlansung pada hujung minggu (1 dan 2 hb November 2014) ini selama dua hari. Format kejohanan adalah Swiss 7 pusingan dengan 45 minit time control. 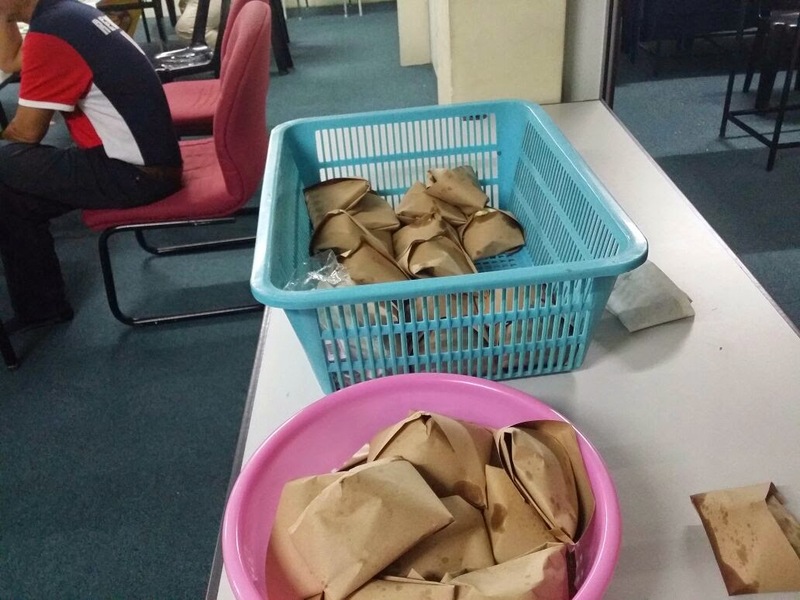 Kepada yang telah mendaftar, jumpa anda di UPSI. Writing this entry, GiLoCatur, wife, Anis and Fahim are at the library of the campus. The reason being to be at the university campus is to give moral support to GiLoCatur's eldest son, Fikri, who is taking part in the on-going KARISMA chess competition. 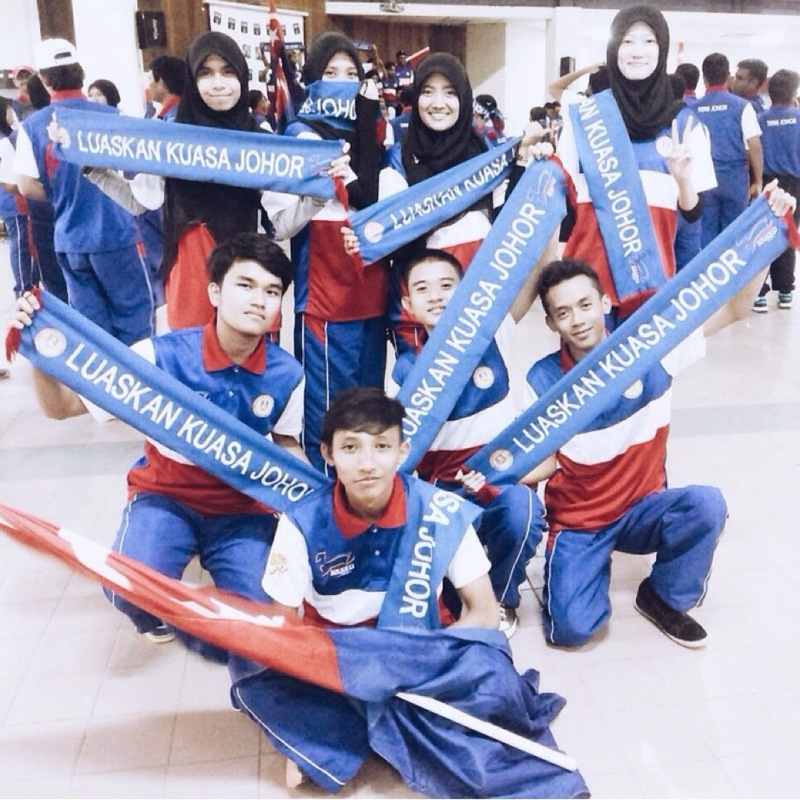 Having just completed his Part 1 at UiTM Segamat, Fikri represents UiTM Johor. 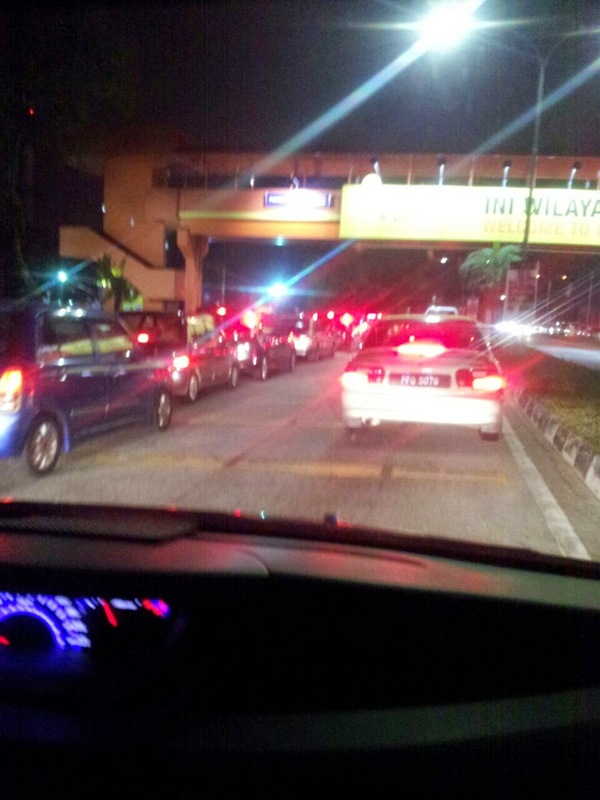 Actually, GiLoCatur and family left Shah Alam home yesterday after Maghrib prayer at about 8 o'clock. 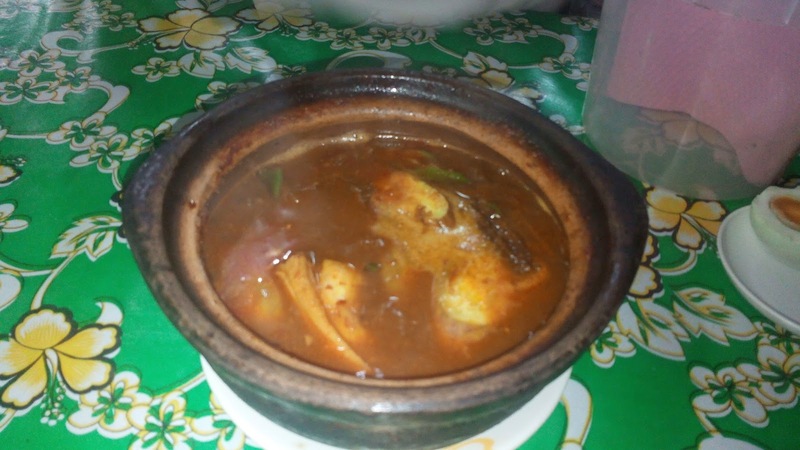 After checking the UiTM Melaka location and having dinner, we searched for lodging. 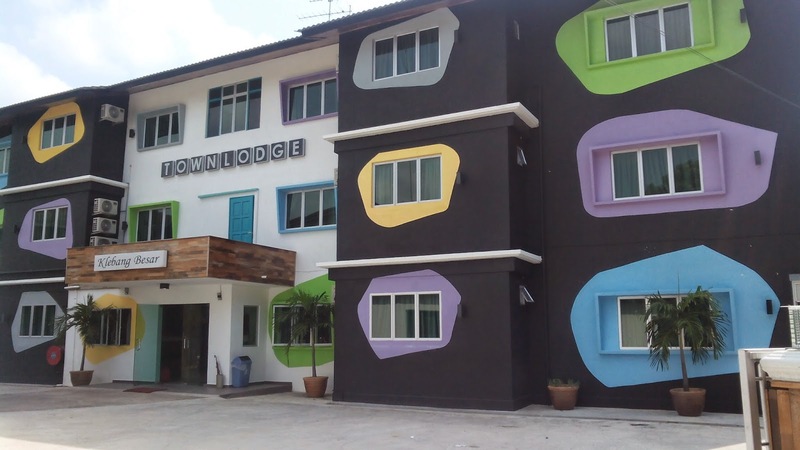 Finally, we ended up staying at Klebang Besar Town Lodge. We checked out and left the Lodge at 9 something and stopped for breakfast on the way to the UiTM Melaka. We reached at the campus at about noon. The first round of the KARISMA chess have completed. 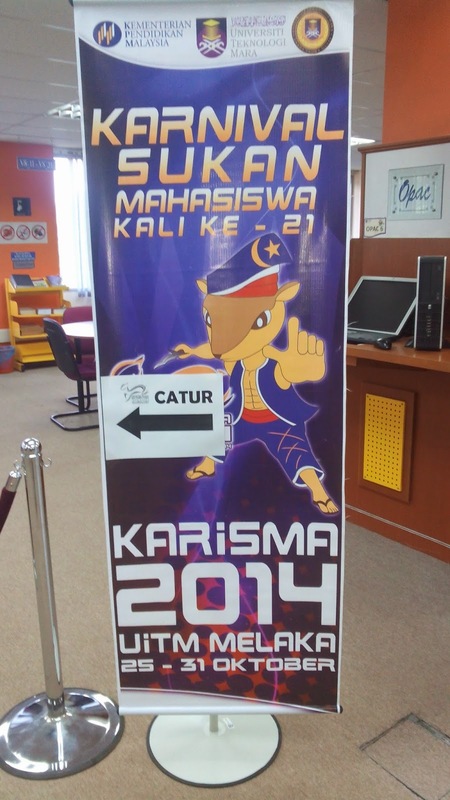 The KARISMA chess competition is being held at the library from 26th until 29th October 2014. Round 2 will start at 2 o'clock. To follow the chess competition, visit the following URLs. Best of Luck to all players taking part in the KARISMA Chess Championship especially to Fikri and his UiTM Johor chess team. Have You Registered for the 6th IIUM Chess Invitational Tournament? The hectic life of attending local chess tournaments for GiLoCatur will begin on this coming weekend after a lay-off for about three months. 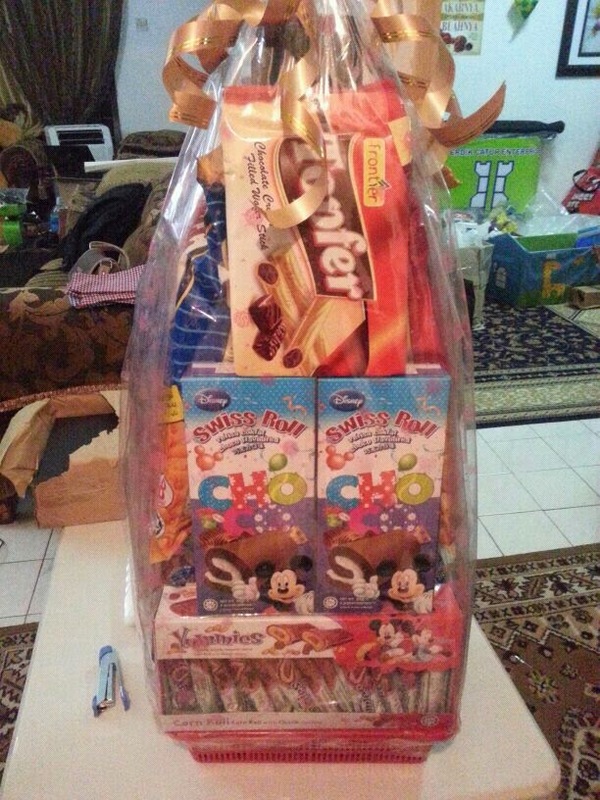 On Saturday, GiLoCatur plans to bring GiLoCatur's youngest son, Fahim, to take part in the 6th IIUM Chess Invitational. 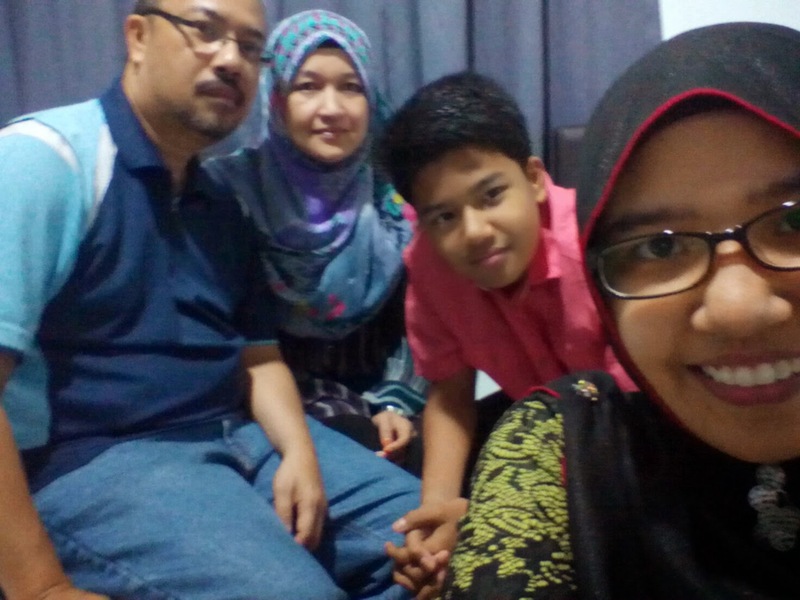 Having completed both UPSR and UPSRA, Fahim is very enthusiastic to compete in chess tournaments. He has less than three months having eligibility to compete in the Under 12 category. BUT hey, GiLoCatur has yet registered and pay the tournament fee. Better to be quick since the closing date is until tomorrow ie. Wednesday, 15th October 2014. 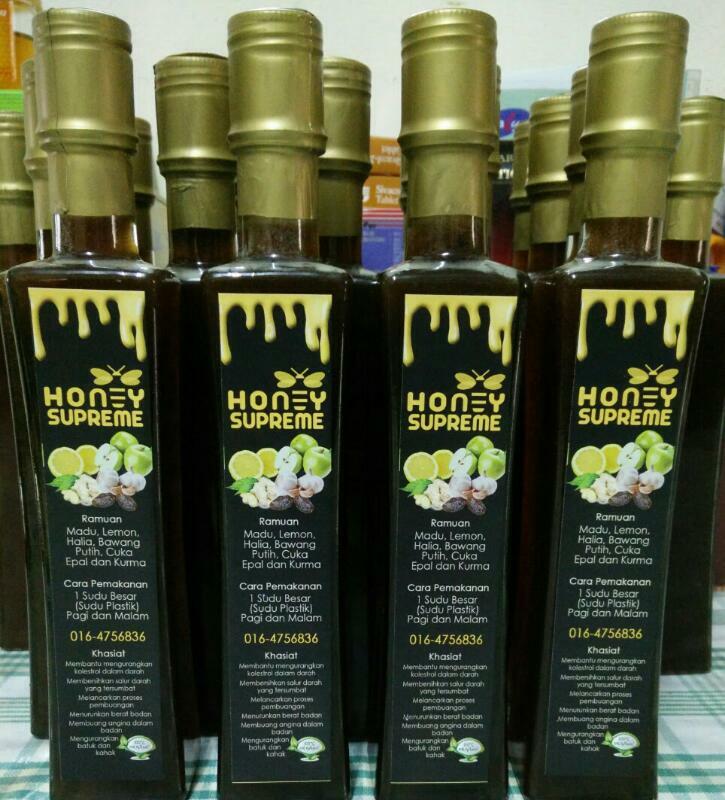 So, see you at IIUM Gombak this weekend. 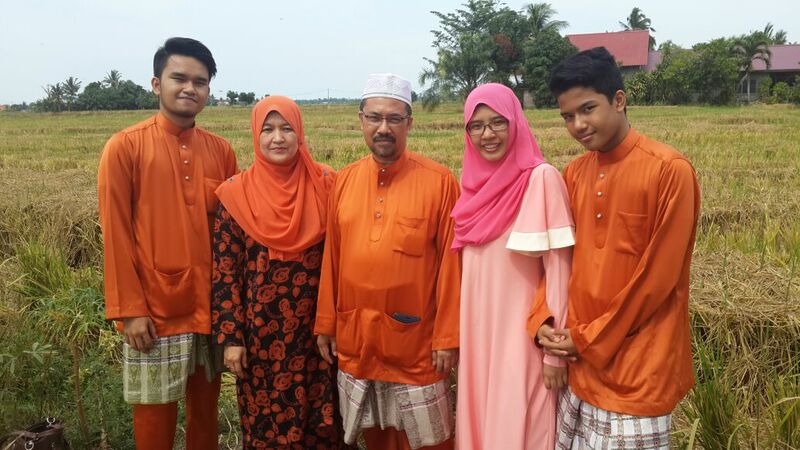 After the tourney, GiLoCatur and family will straight balik kampung. On Sunday, GiLoCatur and the children will take part in the Sungai Besar Chess Open sponsored by Din's Frozen & Supplier. The tournament will be managed and handled by Cerdik Catur Enterprise. 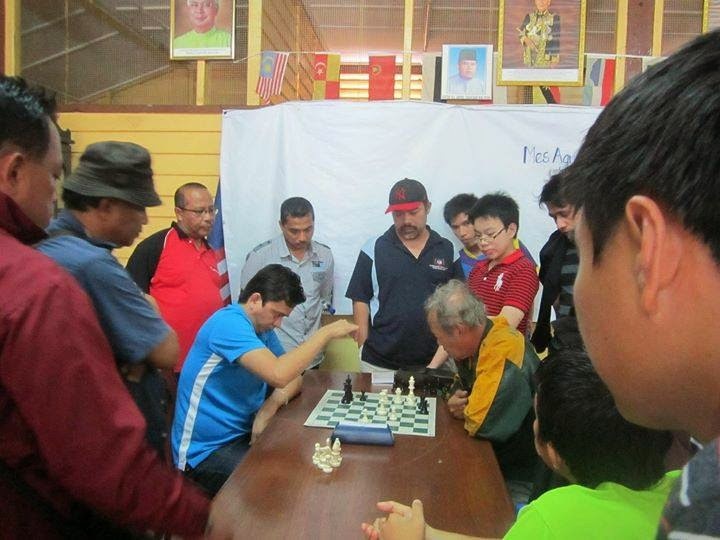 GiLoCatur would like to welcome the Malaysin chess players and community to Sungai Besar which is in the Sabak Bernam district and situated in the northern part of Selangor. 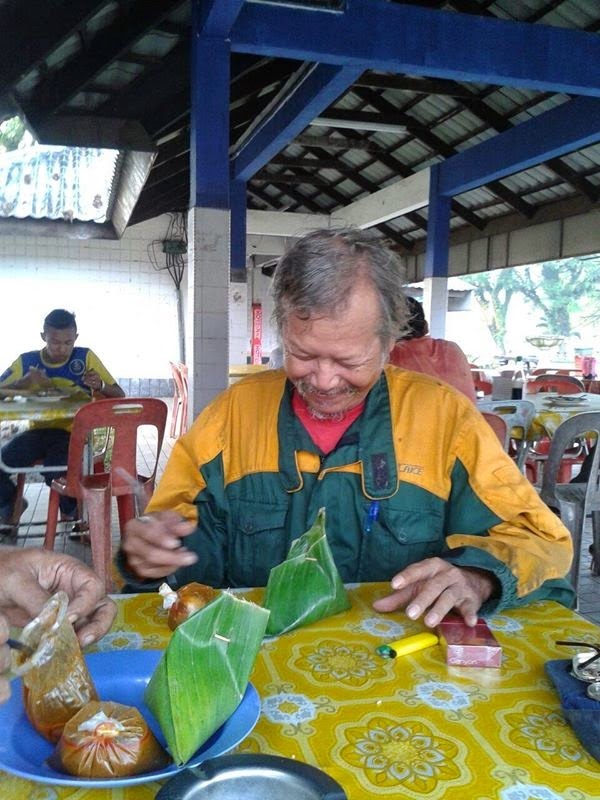 The Malaysian chess community has lost one of its member yesterday (Saturday, 11th October 2014) after the demise of Wan Ali Wan Manan who was based in Pahang. 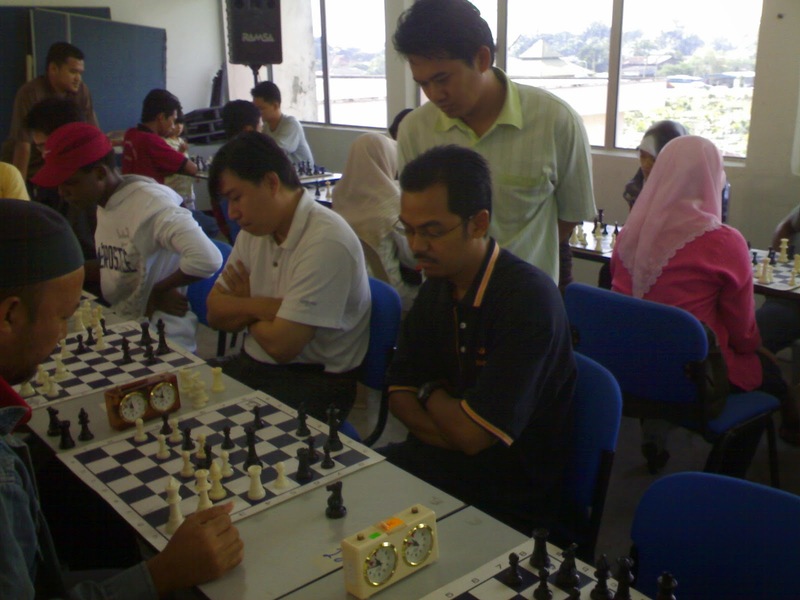 As GiLoCatur recalls, GiLoCatur started to know about the late Wan Ali since the Temerloh Chess Open (not sure if first edition in 2008 but surely second edition in 2009). 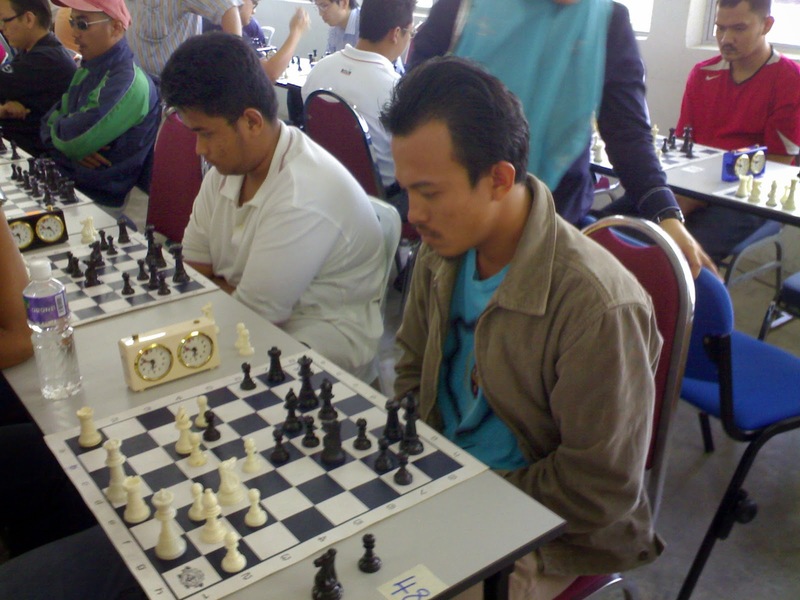 Being humble and simple, Wan Ali had shared his chess knowledge and skills with many Malaysian young chess players especially during local chess tournaments. 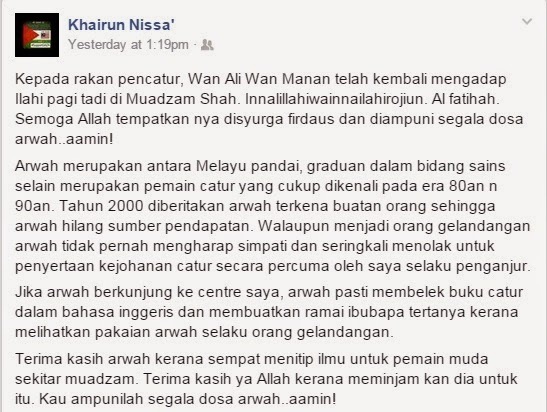 Thanks to NWM Khairunnisa of Kuantan Setia Chess, GiLoCatur just got to know that Wan Ali is a university graduate. 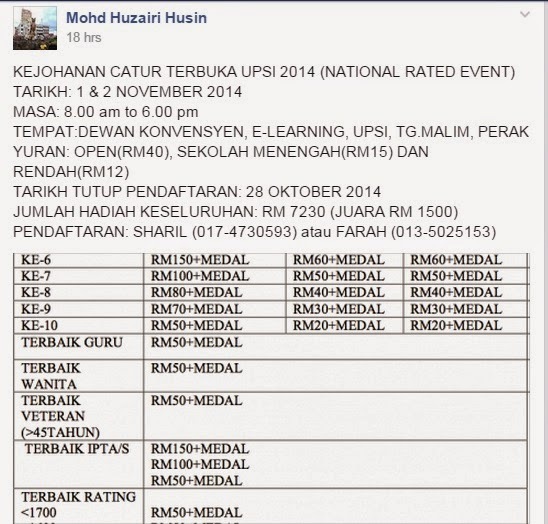 As GiLoCatur was thinking yesterday that there would be NO UPSI Chess Open this year, GiLoCatur was wrong when Huzairi has published the flyer and info on the chess championship in GiLoCatur's Fan Club facebook group here. 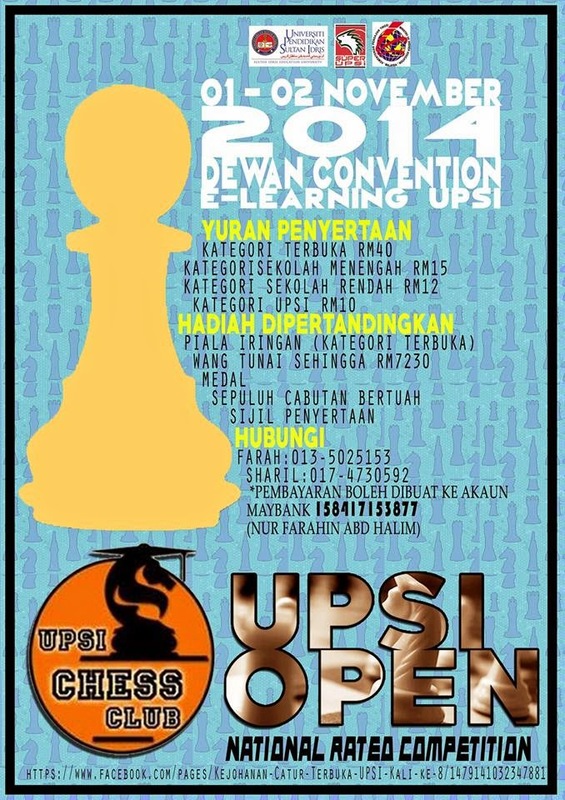 GiLoCatur is so excited because UPSI Chess Open is one of GiLoCatur's favourite local chess tournaments. GiLoCatur and family have participated in some its editions and also missed some. GiLoCatur and family mostly will take part this year provided free and available. When the championship will be held this year? Check out below announcement by Huzairi and flyer. Wow, the main prize is Malaysian Ringgit ONE THOUSAND FIVE HUNDREDs! GiLoCatur is confident many top chess players both local and foreign will surely take part. SEE YOU AT University Pendidikan Sultan Idris (UPSI) folks! Going to GiLoCatur's chess album collection, below are the pictures of some of 17 Chess Club players taken in a chess tournament back in the year of 2009. 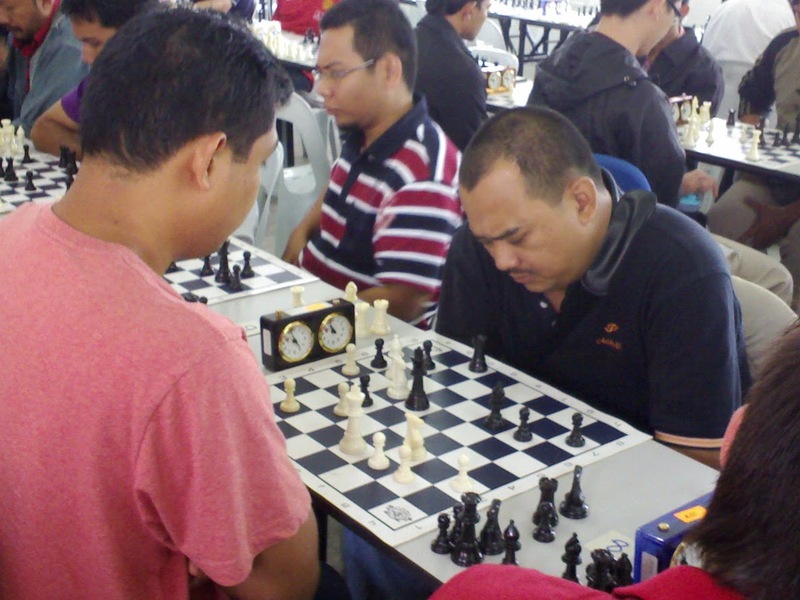 GiLoCatur planned to join a mini tournament held in a chess center located in Klang and organized jointly by the chess center owner and 17 Chess Club. But since GiLoCatur has to wake up early on Saturday morning to drive to Malacca for an important program, the plan has to be cancelled. GiLoCatur wants to share some uniqueness of the mini chess tourney. 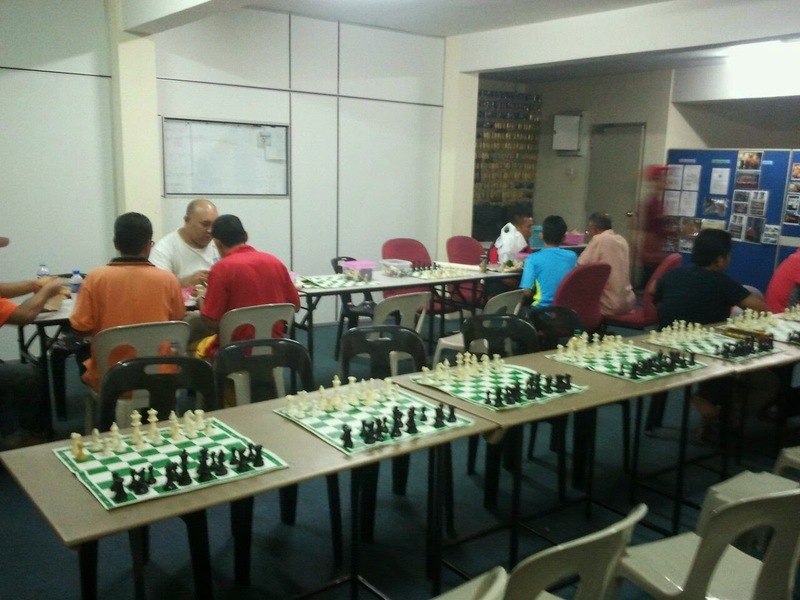 Not many chess tournaments in Malaysia being held at night. 17 Chess Club regularly organize its mini chess tournaments as well as sparring sessions at night. 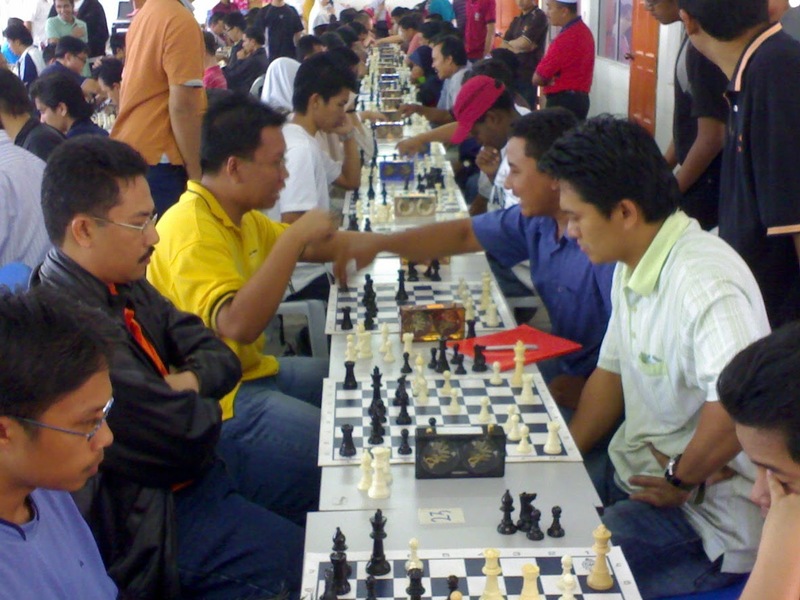 Food and drinks like the famous nasi lemak are common with the players take part in the sparring sessions and mini chess tournaments organized by 17 Chess Club. The obvious reason is the venue is a bistro cafe or a restaurant. 17 Chess Club sparring sessions and mini chess tourneys are commonly being held at Friday nights. 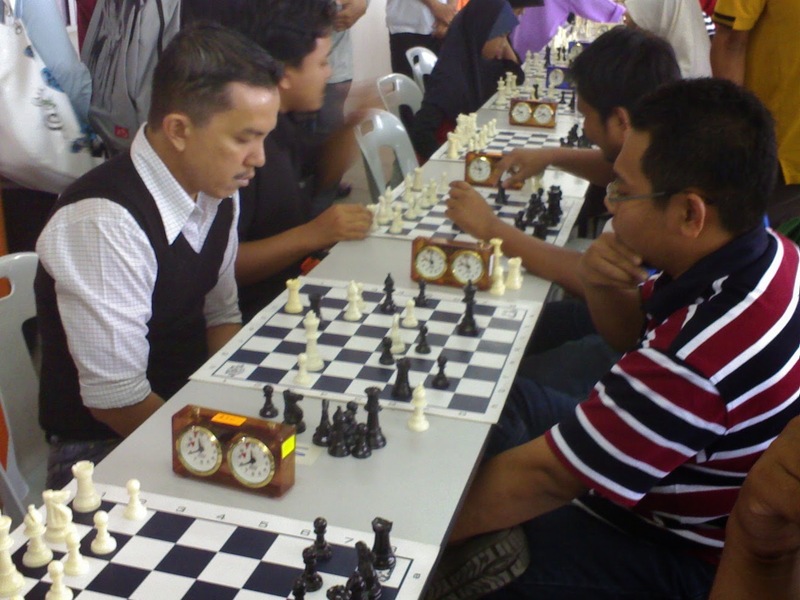 GiLoCatur hopes 17 Chess Club will stay active in organizing sparring sessions and mini tournaments for the better of Malaysian chess.